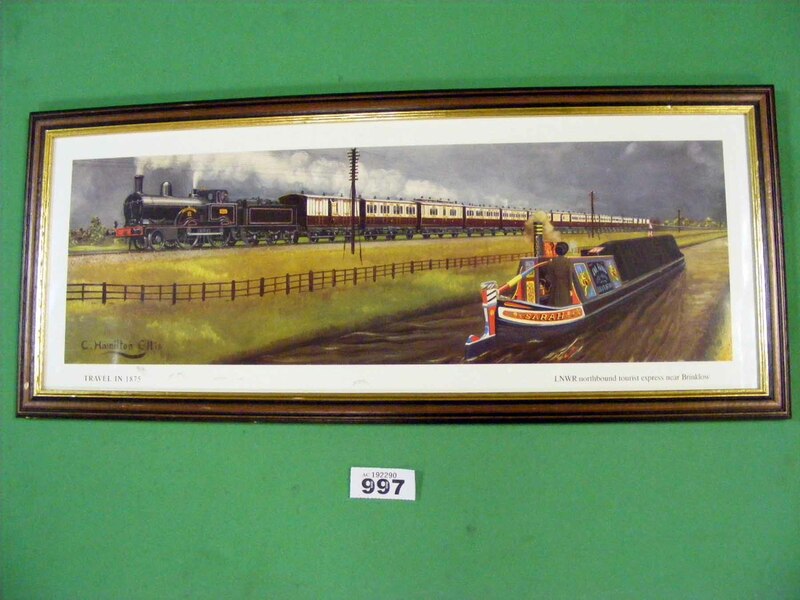 Photographs from Steve Organ’s Collection. We have received a number of photographs from Steve’s collection and are sorting out those which will be added to our collection. There are also photos on other subjects which we may well post over time. Lion with Gloucester coach passing engine shed. This LP came from one of the bric-a-brac outlets, not really our museum object but of interest to Brownhills people, of which I am one! The musical tradition of Brownhills goes back many years and the present Choir, under its conductor Mr. Deryck Langford, unites a wide variety of musical interests and talents. Until 1949 local music makers had the opportunity to sing in the Brownhills Choral Society or the Brownhills Co-operative Male Voice Choir. On January 19th, 1949, it was agreed to the amalgamation of the choirs. 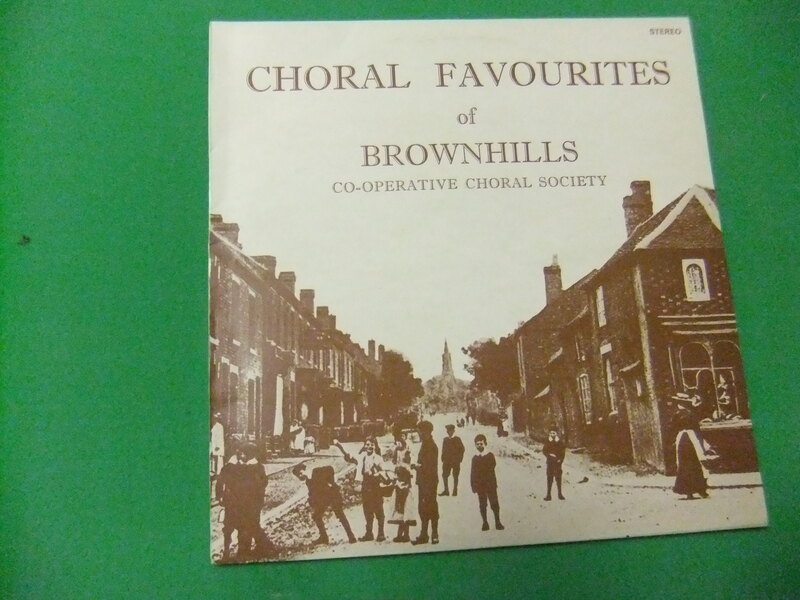 The Brownhills Co-operative Choral Society was thus born, under the auspices of the then Education Department of the Walsall and District Co-operative Society. Conductor: Deryck Langford, Accompanist: Linda Ewins Smith, Organist: Trevor Barratt. Under the leadership of its first conductor, Mr. George Fullelove, the Choir developed an extensive repertoire which included oratorio and light musical compositions. Their autumn concert of ‘Brass and Voices’ in Walsall Town Hall has become a well-established annual event. The Choir regularly presents concerts in aid of local charities and continues to enter Music Festivals throughout the country, including the Llangollen International Musical Eisteddfod 1974/5/6 &7. They had the honour of being invited to sing in International concerts during their last two visits. Tagged Brownhills, Brownhills Choral Society, Brownhills Co-operative Choral Society, Brownhills Co-operative Male Voice Choir, Co-op, Walsall, Walsall and District Co-operative Society. 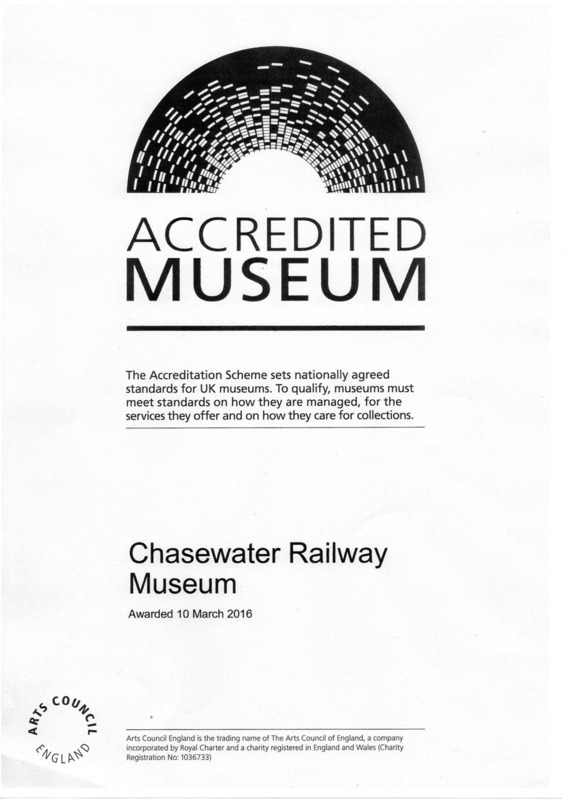 The Chasewater Railway Museum has maintained its status, first achieved in 2011, as a fully Accredited Museum, as awarded by Arts Council England. The award of Full Accreditation is valid for approximately three years, at which point the museum will be invited to provide a return to demonstrate continuing compliance with the Accreditation Standard. Thanks and congratulations to all who have helped maintain this standard during the past few years, and the museum looks forward to this support continuing in the future. Our thanks also to our visitors – our efforts would be rather pointless without you. 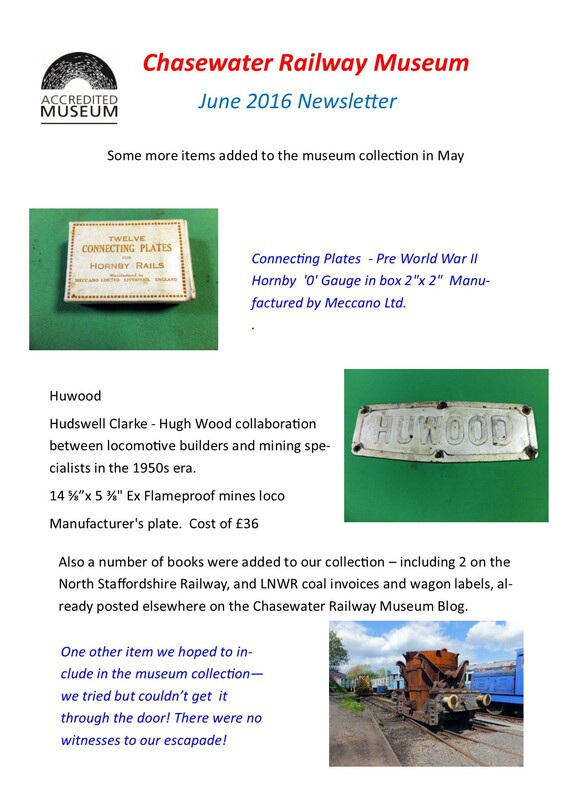 The next members meeting with speaker will be held on Wednesday May 21st at the Museum of Cannock Chase, Valley Rd, Hednesford, Staffs. WS12 1TD. Hot from the printers the “Hawkins Colliery” book is now available for purchase it costs £10.00/copy + P&P and they are available from the address above. Thursday April 4th & Sunday April 7th. 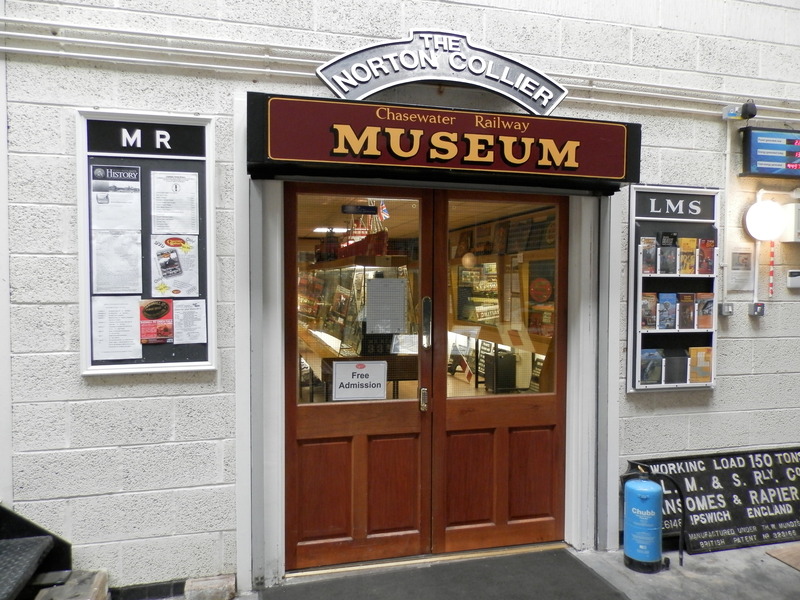 The Museum was open on Thursday April 4th as a school holiday train service was in operation. 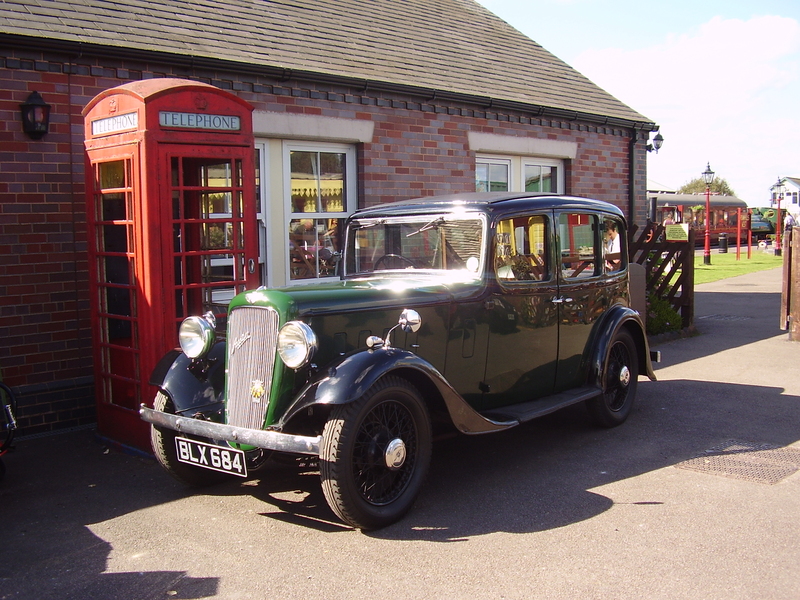 Unfortunately the extremely cold weather kept the numbers who visited the Museum down to 29. To help pass away the time during this quiet day, Marion calculated how many people had passed through the Museum doors so far in 2013. From January 1st until April 1st, the Museum had been open 25 days, and a total of 2,569 visitors were counted. Sunday was a lot warmer which reflected in the total visitor numbers of 280. A contingent from one of the Austin Car Clubs met at the Railway for a carvery meal, and a tour of the site. 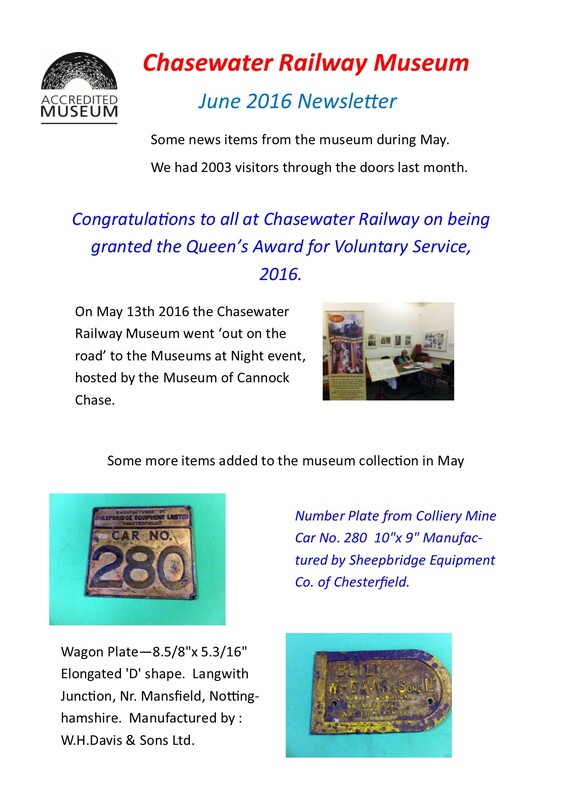 Easter 2013 in Chasewater Museum. Sixty five persons visited the Museum on the very cold and windy Saturday. 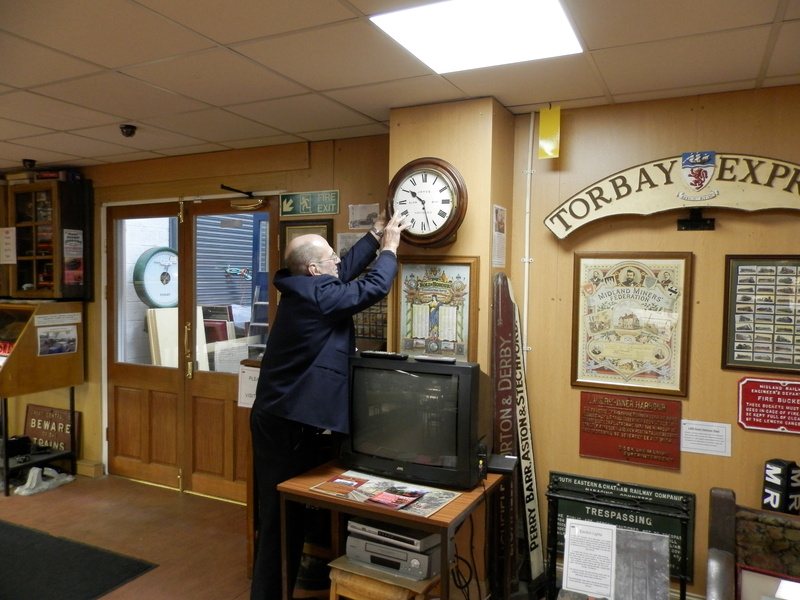 Sunday being the first day of British Summer Time ( That’s not a joke), meant that John drew the short straw to put the clocks forward by one hour. Much better attendance figures on Sunday, with a total of 316 clicked by Marion, as Mick is still not well. We hope to see him back in the near future, as the biscuit barrel level is getting rather low. 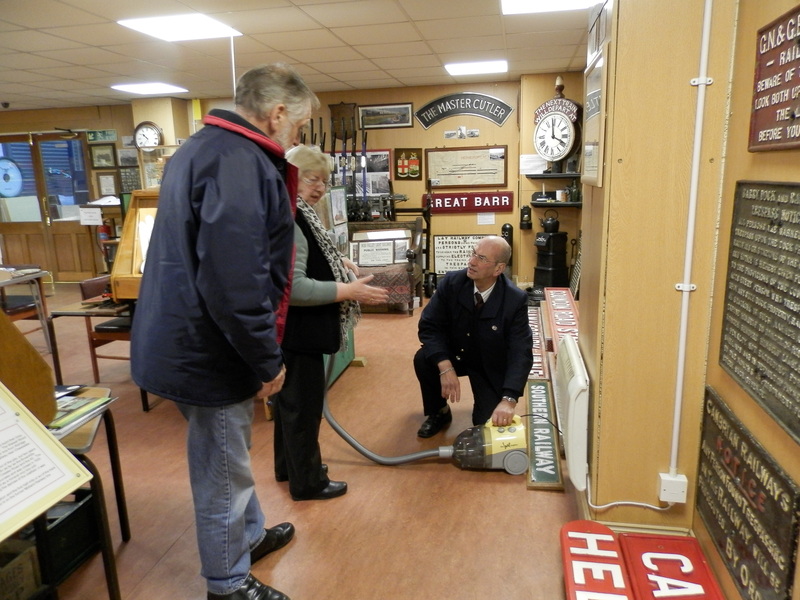 A touch of spring cleaning took place on Sunday, with a demonstration on how to operate a vacuum cleaner, with complete safety. Easter Mondays figures were on a par with Sunday’s as 308 people ventured through the doors (mainly to get warm). 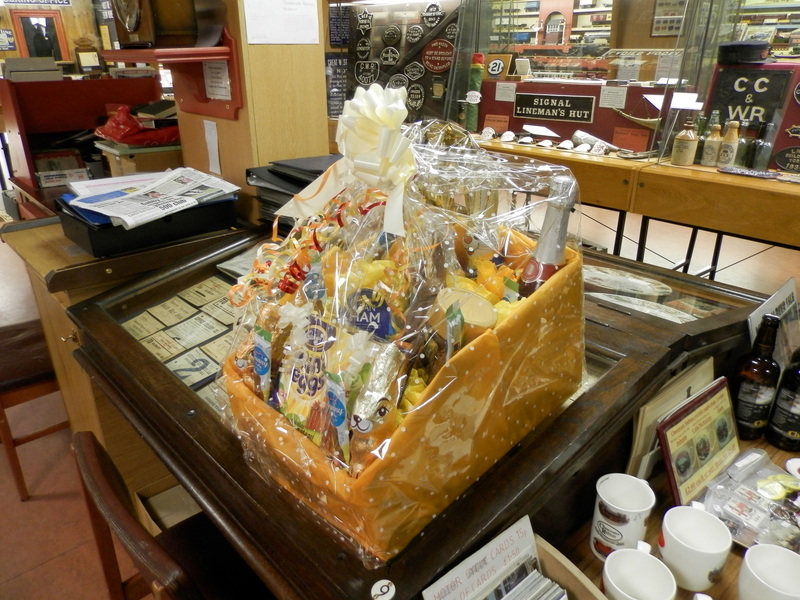 A raffle was held over the weekend for the Museum funds, with the main prize being a splendid Easter hamper, compiled and donated by Roy & Sheila Sealey, as they have done over the past number of Easters. 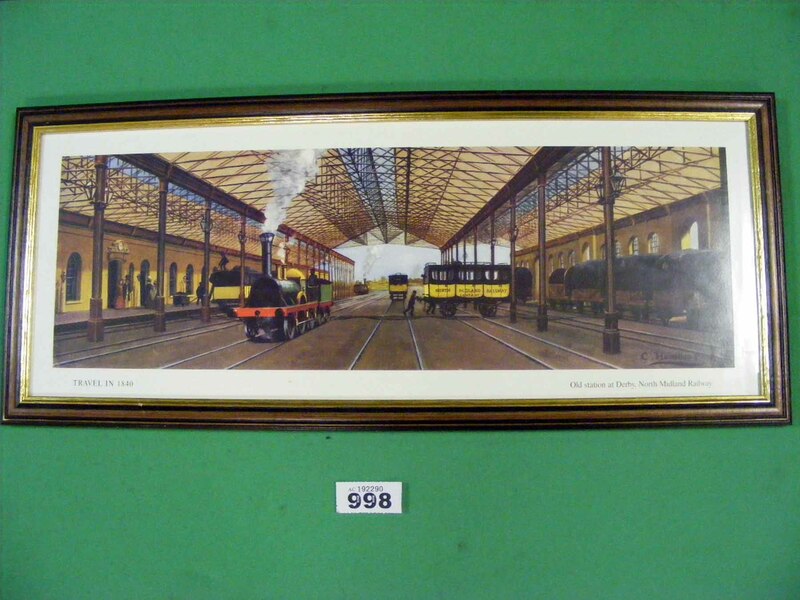 A set of Railway books donated by David Pearson was the second prize in the raffle. A total of £96.00 was raised over the weekend, and the winner of the Hamper was Aaron Matthews from Lichfield, and Page Gilbert’s ticket was drawn for the books. 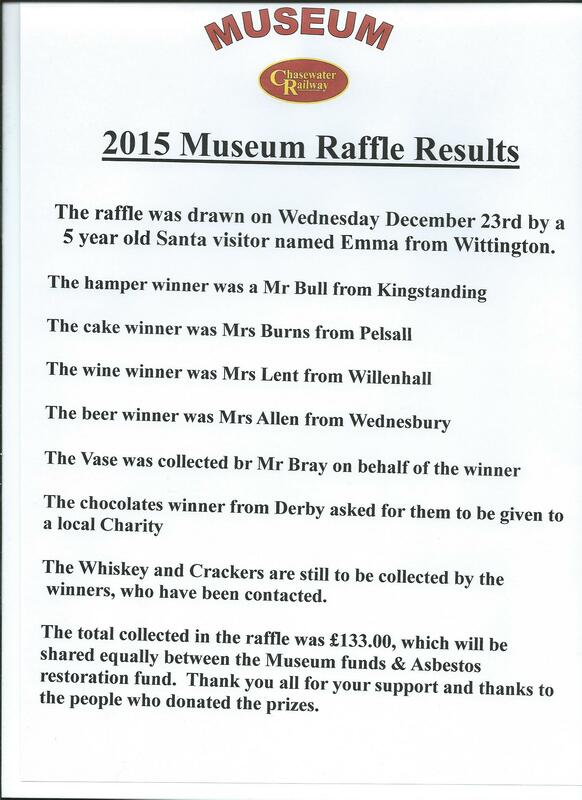 Thanks to all who supported the raffle over the Easter weekend. 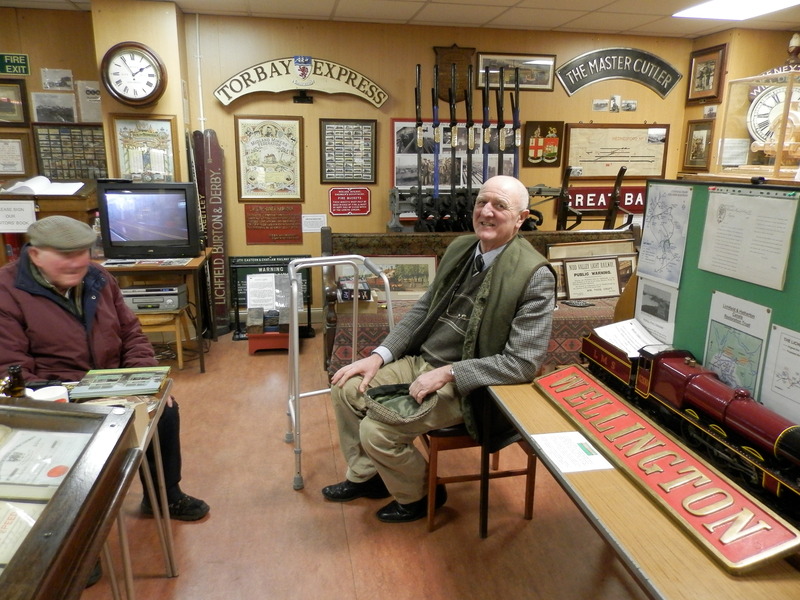 A total of 185 people visited the museum today, Sunday February 17th 2013. This was due mainly to the bright sunny weather. It was nice to see regular visitor David Pearce, and his friend Barry out and about again after David’s fall on the icy ground in January. David suffered a broken leg close to his hip, which required an operation to bolt it back together again. 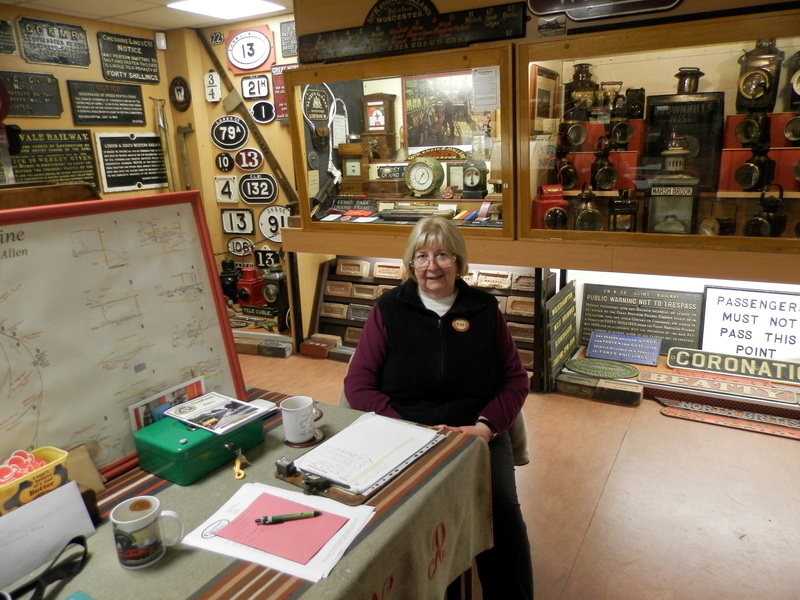 Marion helped out in the Museum, whilst yours truly was kept busy on the Narrow Gauge railway. She even drank out of Johns sacred mug. 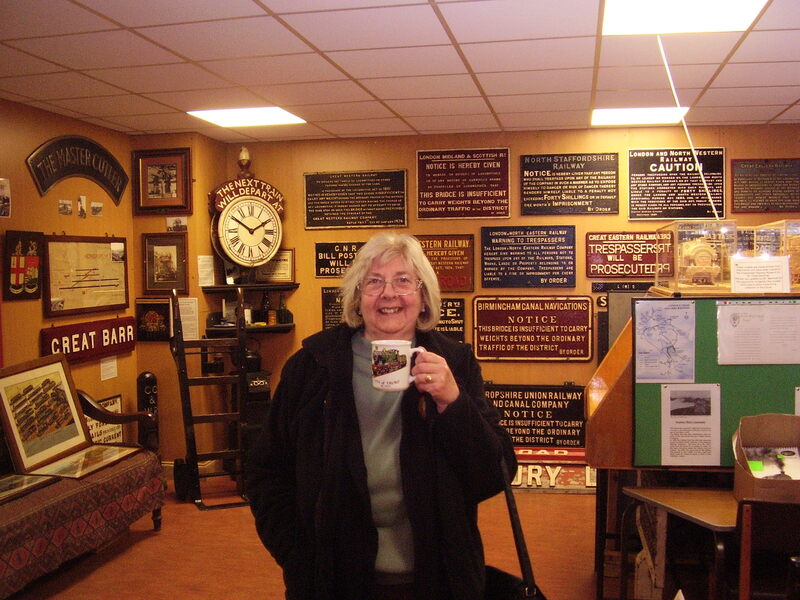 The Sidings tea room did exceptional well, and sold out of every thing except tea & coffee by the end of the day. Unfortunately the forecast is that the weather will get a lot colder by next weekend, enjoy it while you can.